After Planck last week, it is now the turn of Europe’s Herschel space observatory to deliver its share of surprises. The infrared telescope—in orbit for just a year—has called into question our traditional theories about how stars are formed. 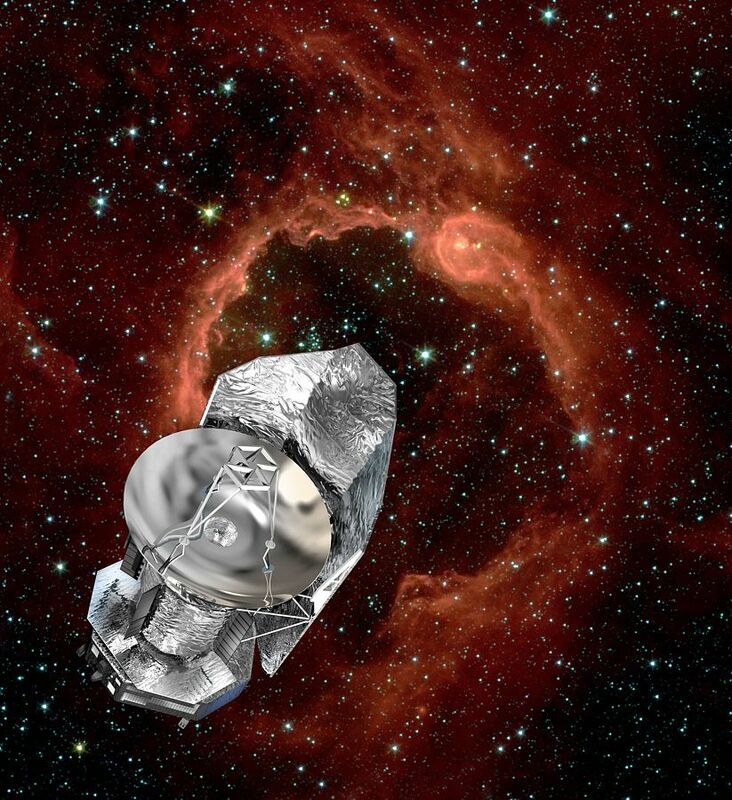 The Herschel spacecraft in orbit 1.5 million kilometres from Earth. Credits: ESA/D. Ducros. 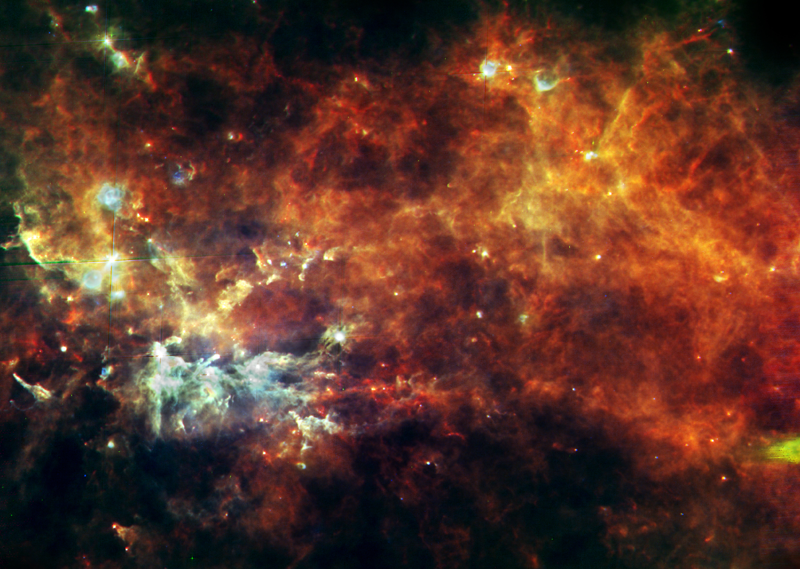 Launched on 14 May 2009 by an Ariane 5 rocket, along with the Planck spacecraft, Herschel is the largest infrared and submillimetre astronomy telescope ever placed in space. It is named after the physicist who discovered the infrared spectrum in 1800. Since September 2009, when Herschel was declared “fit for science”, data from the European satellite has been made available to the scientific community for analysis. Over 400 specialists attended the Herschel First Results Symposium at ESTEC* in the Netherlands from 4 to 7 May to discuss the mission’s most significant findings to date, which challenge previous ideas about how stars are formed. 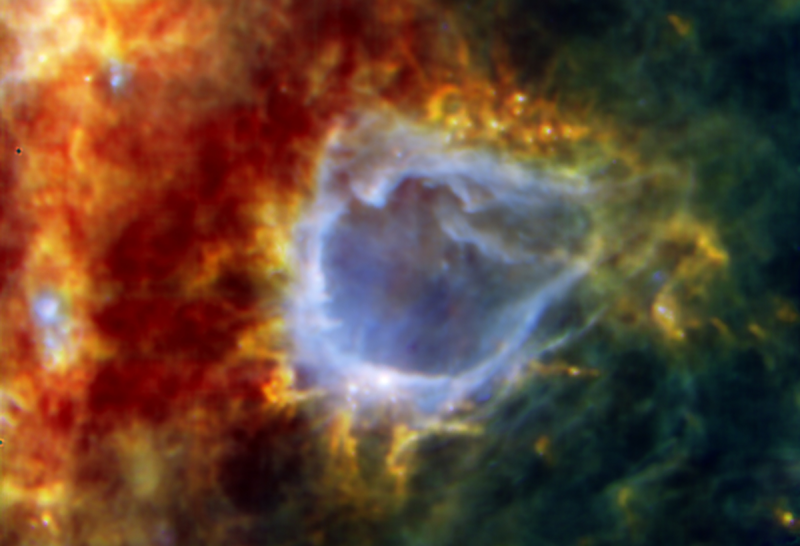 The RCW 120 star bubble. Credits: ESA/PACS/SPIRE/HOBYS Consortia. Observation of the RCW 120 star-forming region with Europe’s Herschel space telescope has revealed an embryonic star that looks likely to become one of the biggest and brightest stars in our Galaxy within the next few hundred thousand years. It already contains eight to ten times the mass of the Sun and is surrounded by an additional 2,000 solar masses of gas and dust from which it can feed further. “According to our current understanding, you should not be able to form stars larger than eight solar masses,” says Dr Annie Zavagno of the LAM astrophysics laboratory in Marseille. Now Herschel has observed one of these stars at such an early stage of its life, astronomers can study the data to investigate how it is defying their theories. 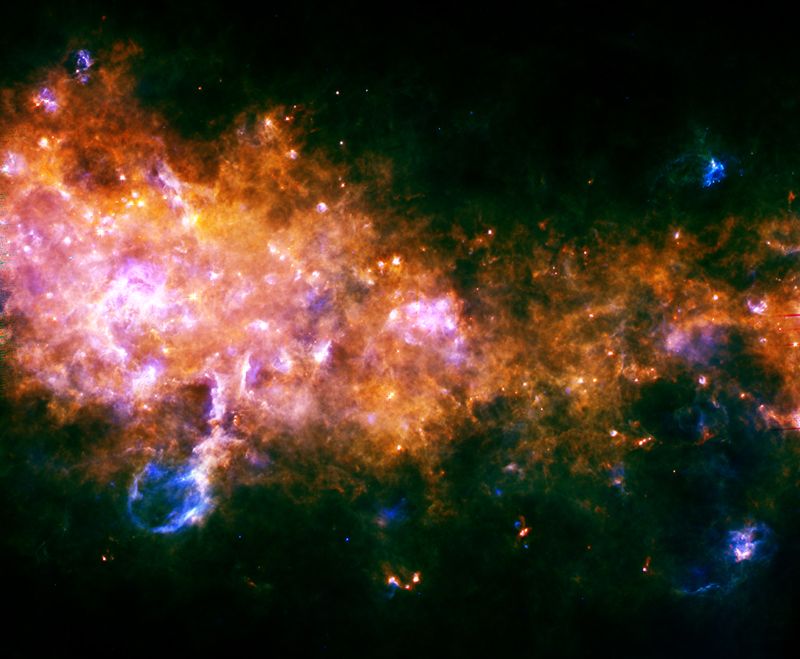 Stellar nurseries in the Milky Way. Credits: ESA/Hi-GAL Consortium. Other results are equally remarkable. A new Herschel image released today covers a number of stellar nurseries in the Milky Way and offers further insight into how the formation process works. Stellar embryos first appear inside filaments of incandescent dust and gas that stretch across the Galaxy. These form chains of stellar nurseries—tens of light years long—that envelope the Galaxy in a web of star birth. All Herschel results presented at the symposium will be published in a special issue of the European scientific journal Astronomy & Astrophysics in the autumn. * ESA’s European Space Research & Technology Centre in Noordwijk, the Netherlands. Entire assembly line of newborn stars in the constellation of Vulpecula. Crédits: ESA/Hi-GAL Consortium.